Who doesn’t love criminal detective stories? Miss Marple, Hercule Poirot, Patrick Jane, Sherlock Holmes – one can never get enough of these investigators and the interesting lives that they live . It doesn’t matter if we are watching the Mentalist on Amazon Prime or reading Agatha Christie on a kindle, all of us have been constantly fascinated by the way the detectives have a methodical undertaking in taking up clues, tips, leads, trails that they need to track down their suspect number one. Marketing Executives are super sleuths in their own right! Instead of cold trails of bloodshot wounds, fingerprints and forensic reports, marketing executives take to a conference room with a white boards and pin boards covered with all the documentation of the relevant cases. While approaching our client’s businesses, investigating the historical details of the brand, thoroughly understanding the mind of the consumer and the perceptions in the market, these executives are data detectives. Pertinent and insightful conclusions can be made from the observations and investigations that the marketing data detectives make, taking organisations over all obstacles and finally reach their long term goals. The power of observation, deduction and knowledge. You can’t make bricks without clay. For the super famous sleuths like Sherlock Holmes or Miss Marple, trails of blood, fingerprints and murder weapons lead them to their criminal. For executives, predicting future trends, reading current engagement and understanding customer preferences help take sales to the next level. When one gives a little thought into it, we can spot several parallel identities between the two professions. They are very similar to each other, especially when it comes to following data, transforming them strategically, and arriving at an intuitive decision and/or assumption. The attributes of a good data detective can be summarised in three important points. Timing the Arrest is Critical. What is the key to solve a crime? Correspondingly, a good marketing executive knows that the key to making a decision is understanding the client’s wants, needs and abilities. For example, having a huge stack of raw data will tell you that you are getting leads from a certain part of the country. Sure, you can leave it at that. But when you ask the why and begin extrapolate the motives and reasons behind a certain metric, you can find yourself on a better path to increase sales efficiently. Having clear goals leads to better understanding of the customer mindset, and drives organisational goals. If you are aware of the most renowned female investigator of all time – Miss Marple, created by dame Agatha Christie, you will notice that it is the small details that help her solve crimes. She pays attention to obvious but tiny details everyone else simply brushed aside. As a marketer, you need to be able to understand that amongst the collosal piles of data that run through your system, you must be able to sift through the hay stack and find that needle! Have you ever wondered why recruiters are always looking out for detail oriented people, when they post a job posting? This is it. 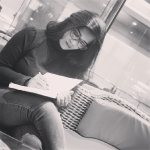 Having an eye for the minute details in the huge piles of data, gives the company a more refined structure and a systematic way to achieve their goals. When it comes to crime investigation, if the police arrest the suspect too soon, without securing proper evidence, it’s highly likely that the case will fall apart in a court filled with it’s jury members. You can’t tell Sherlock Holmes the case is closed. Or that the police have done all they can. Or that he should leave well enough alone. That will just set him back up and make him more determined to bring the culprit to justice. For a marketing executive, it works the exact same way. Patience is a virtue. If you close a sale, without giving the stakeholders enough time and space to do their own research, and educate themselves about the business problems, the deal will likely fall apart. Timing is critical. You need to have at your disposal, a tool that can assist you to know the method and the time with which to take action. 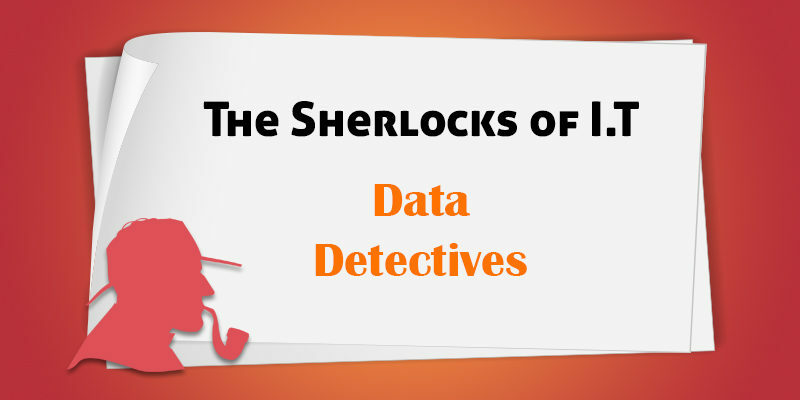 So, who is a good Data Detective? Someone who is gifted with the ability to improvise, or think on their feet. They are tenacious. When they catch something that is out of their knowledge, they don’t just let it swim past them. Instead, they ask questions and they dig deeper. They enquire who, what , when , where, why. And can’t rest until they find answers. They work in extremely focussed environment that’s demanding in both skill and effort. Business processes center around sharp deadlines. A great marketer is someone who is an ultimate communicator. They have the power of leveraging data to help other people in the organisation and sometimes even machines, arrive at well informed decisions. 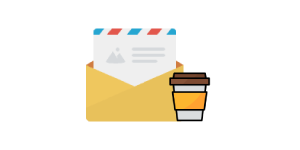 Get freshly brewed content delivered your way! Why go large with Data for Deep Learning?